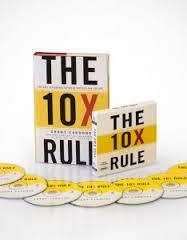 The book is called “The 10X Rule: The Only Difference between Success and Failure.” It’s written by sales trainer Grant Cardone. Next to Sheryl Sandberg’s book, “Lean In: Women, Work and the Will to Lead,” this is new my favorite book. I LOVE THIS BOOK. Without a doubt this book has changed my life. It has changed my mindset, it has given me the motivation and drive to do what I want to do with my life and fulfill my potential. I love this book so much I also got the audio version which I listen to nonstop in the car. The entire premise of the book is based on applying 10X effort to whatever you want in life. Exerting “normal” levels of action won’t get you your dreams. Basically he argues that you will need 10 times the effort and dedication and thinking to get what you want. And if you’re not prepared to put in 10 times the effort, then you won’t succeed. He discusses the 4 degrees of action (Do nothing; retreat; normal levels of action; and MASSIVE action,) –Most people never take massive action in their lives. “Assume that every project you attempt will take more time, money, energy, effort, and people than you can imagine. Multiple every expectation you have by 10, and you will probably be safe.” (page 17). “Success is important. Success is your duty, and there is no shortage of success.” (page 22). 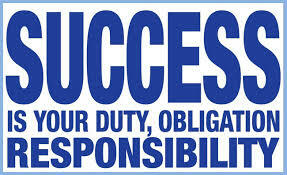 “Successful individuals approach success as a duty, obligation, and responsibility –and even a right!” (page 29). “Success is not something that happens to you; it’s something that happens because of you and because of the actions you take. “ (page 40). “Average never yields anything more than average and usually much less. Average thinking and actions will only guarantee you misery, uncertainty, and failure. Rid yourself of everything that is average including the advice you get and friends you keep.” (page 67). I could go on and on with the quotes. Seriously love this book so much. 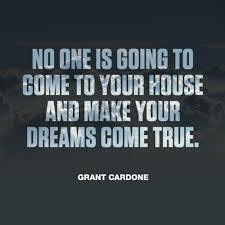 Cardone, Grant. (2014). The 10X Rule: The Only Difference Between Success and Failure. John Wiley & Sons, Inc. Hoboken, New Jersey. Previous readingYou only need 1 supporter….for now. Next reading When things don’t go your way…Part 1.